Heat pumps and central air conditioners are “split systems,” which means that there is an outdoor unit and an indoor unit. 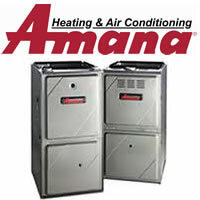 The job of the heat pump or air conditioner is to transport heat either into or out of your home. The “vehicle” your system uses to carry the heat is called refrigerant. For cooling operation, air from your home passes through the indoor coil. Heat is absorbed from the indoor air and the resulting cooler air is ciruclated back into your home through your duct system. Heat from your home exits through the outdoor coil. Heat pumps are often installed with back-up electric resistance heat or a furnace to handle heating requirements when more heat is needed than the heat pump can efficiently extract from the air. Carrier also offers a Smart Heat accessory package that provides back-up electrical heat in stages. This option allows homeowners to enjoy the energy-saving benefits of a heat pump and still maintain comfortable indoor temperatures as outdoor temperatures gradually drop. New Carrier air conditioners and heat pumps, for example, undergo 34 quality tests and checks during production, with more than 20 of these being performed on every unit not just on random samples. Two-speed units can run on low speed (using 50% of the energy) up to 80% of the time, so they operate more quietly and run for longer periods of time than single-speed models. Longer operating periods translate into fewer on/off cycles, fewer drafts and much smaller temperature swings — only two or three degrees instead of the four-degree swings common with single-speed units. Plus, better air circulation helps prevent air “stratification” warm air rising to the ceiling and cold air settling on the floor. In short, you get consistent, even cooling throughout your home. Usually, the higher the efficiency, the more expensive the unit. If you live in a warm and/or humid climate, you will probably see the higher cost of a high-efficiency air conditioner or heat pump paid back (through lower utility bills) in a few short years. Dring can use cooling data from your area to help you determine about how long it would take you to recover the additional cost in energy savings. Of course, after the payback, you continue to save on your energy bills for the life of the system. Tips On Matching Indoor & Outdoor Coils Your central air conditioning or heat pump system is a split system. That means it consists of two parts: an indoor unit (coil) and outdoor (condensing) unit. Both components are necessary for a working system. So if you install a new outdoor unit, be sure to include a new, equally efficient “matched” indoor unit. If you don’t replace both your indoor and outdoor units, you won’t be getting what you paid for. In fact, your system could be up to 15% less efficient than stated — and you’ll be less comfortable, too. That’s why simply replacing just the outdoor unit isn’t a bargain in the long run. Replacing the outdoor unit but leaving the old indoor unit may offer you the lowest price, but it won’t give you the best value. 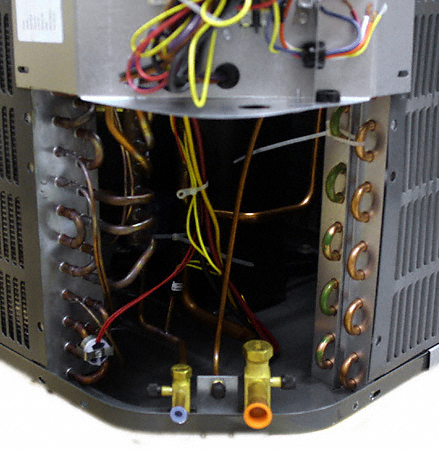 When your air conditioning or heat pump components don’t match, you’ll be sacrificing comfort. The system may still “work,” but it won’t perform up to the promised energy efficiency. Over time, this will cost you more money. When the components aren’t matched, it could create undue stress on your cooling system, resulting in unnecessary, premature failure.